JANUARY 27, 2014—Officials at the World Bank recently said that they expect the world economy to get better in 2014, with wealthier countries expected to grow. Last October, the International Monetary Fund lowered their forecasts for growth in both 2013 and 2014. 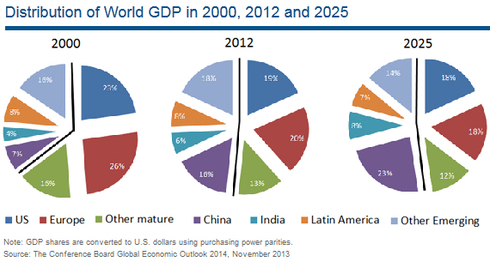 In November, the Conference Board predicted in November that global GDP growth would be 3.1 in 2014. Emerging market countries accounted for about half of the world's GDP in 2012 (in 2000, it was only around 33 percent), the Conference Board also reported. 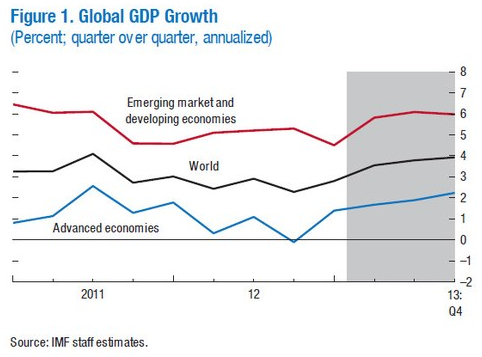 The IMF concurred with the World Bank, recently saying that global economic activity will continue to improve in 2014 and 2015, with credit due mostly to advanced economies.